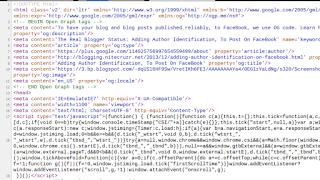 Adding FaceBook author identification to a Blogger blog is simply a matter of adding the right meta code to the template header. (Update 3/14): Blogger Engineering recently added OG code to the standard template header - and some of this tweak may be unnecessary for many blog owners. Use the Template Editor. 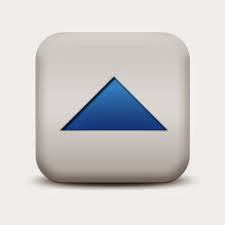 Start by locating the "<HTML ... >" tag, at the top of the template header. Then add a code block, immediately after the "<HTML ... >" tag. 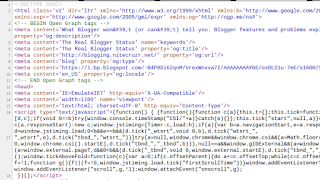 You will provide similar code, in your blog's template, when you do this. You'll add the code, as above. One small snippet, added to the HTML tag. The main code block, following the HTML tag. You'll need to change two details, in the main code block, just added. 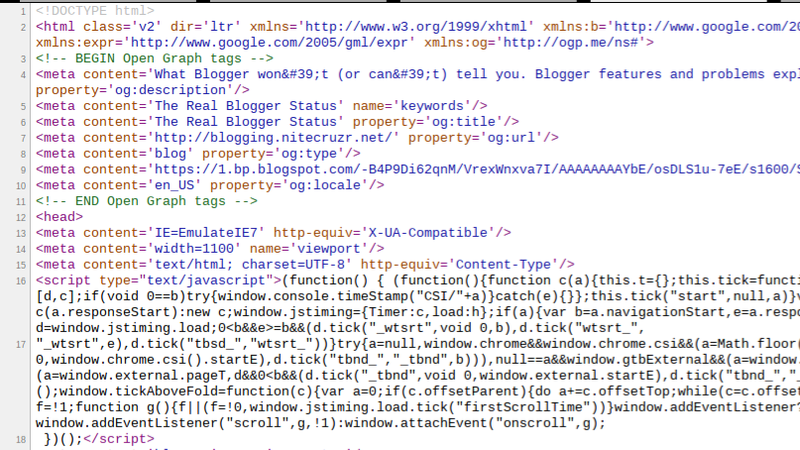 The URL of your Blogger / Google profile (above). The URL of your FaceBook profile photo (2 locations, above). This is the basic code which is required, for FaceBook Authorship. The end result - for this blog, home page. The end result - for this post. 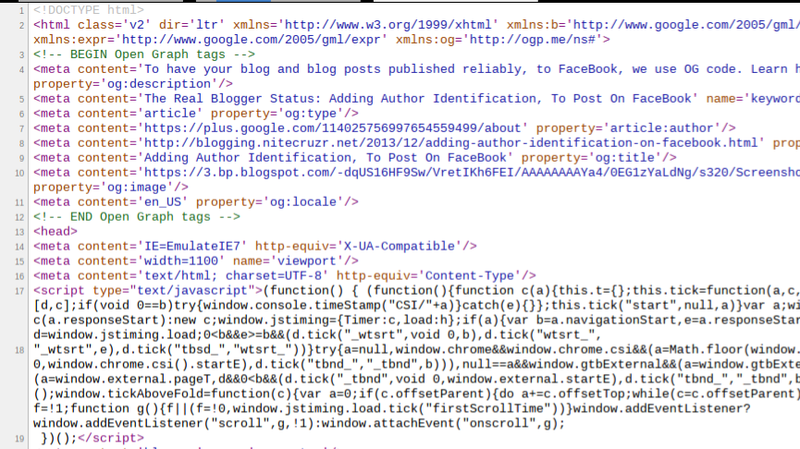 Having added the code to your template, you can verify the code, using the FaceBook Debugger. If necessary, you may need advice from FaceBook Support. And please, backup the template, before and after you make this change! This feature should make it easier to publish Blogger links and posts to FaceBook - and to allow us to publish posts containing photos, more reliably. For a version that's slightly easier to understand, one can add simpler Open Graph code to enable proper sharing of posts with photos. In your suggested code the "postImageThumbnailUrl" resolves to a 72 pixel image (at least for me) which ends up being ignored by Facebook. I had better success with "postImageUrl". however the instructions below are hard to understand I just copy and pasted the yellow entire yellow colored script above, it didnt work so I presume I copy/pasted wrong? Does the change happen instantaneously or does it take time? You'll need to change two details, in the main code block. Please post in Blogger Help Forum, so we can discuss your problem, in detail.